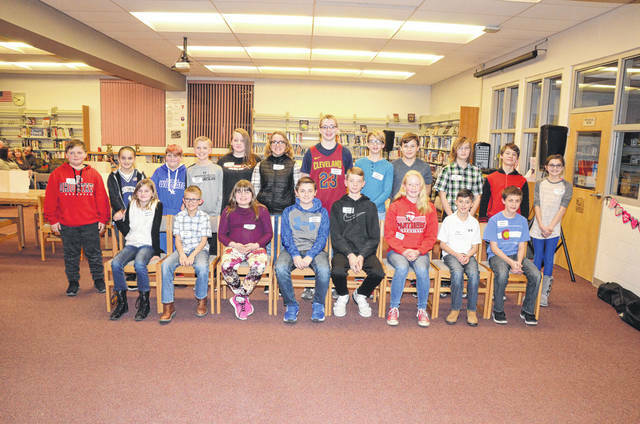 Pictured are this year’s Preble County Geography Bee champions and runners-up. Wyatt House, a student at National Trail, was named this year’s middle school champion during the annual event held on Tuesday, Feb. 13. Raegan Holland, also from National Trail, was the elementary level champ. Runners-up, in a tie in the middle school category, were Victoria Wright from Preble Shawnee and Lynnlee Voge from Twin Valley South. Fourth-fifth grade runners-up, also in a tie, were Aaron Metz from Bruce Elementary (Eaton) and Zach Lawson from National Trail. LEWISBURG —National Trail Middle School student Wyatt House was named this year’s Preble County Geography Bee middle school champion during the annual event held on Tuesday, Feb. 13. Raegan Holland, also from National Trail, was deemed elementary school champ at the event held at Tri-County North Middle School. All five county school districts hold building level geography bees for students in grades 4-8, and the winner and runner-up of each building is then eligible to participate at the county level. Topics covered at this year’s county level competition included: states and capitals, state nicknames, outline recognition of states, mountain ranges around the world, state symbols, European landmarks, and rivers around the world. House was the 6-8th grade champion, with a tie for the runner-up spot between Victoria Wright from Preble Shawnee Middle School and Lynnlee Voge from Twin Valley South Middle School. Holland was the 4th and 5th grade champion, with a tie for the elementary runner-up spot between Aaron Metz from Bruce Elementary (Eaton) and Zach Lawson from National Trail Elementary. Organizers send a special “thank you” out to Tri-County North Local Schools for hosting the county geography bee this year. Thanks also to Shawn Hoff, Daryl Michael, Laura Cottingim, Jody Longman, and Denise Hoerst of the Preble County Educational Service Center for assisting with the event. Organizers also thank the district level coordinators who organized their building level competitions and assisted students in preparing for the county bee. The Preble County Geography Bee is organized by Daryl Michael and Laura Cottingim for the Preble County Educational Service Center, and is sponsored by the Preble County Educational Service Center Governing Board. 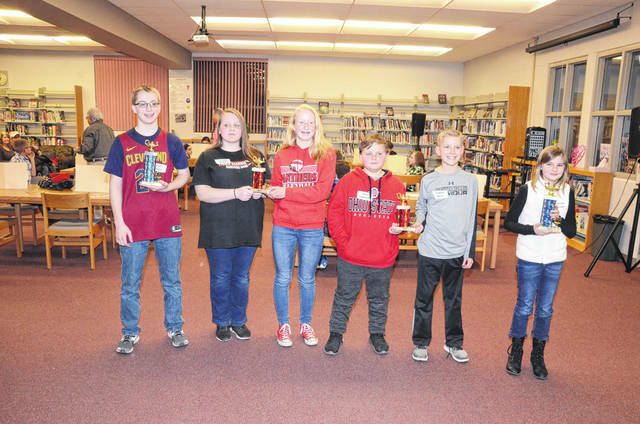 https://www.registerherald.com/wp-content/uploads/sites/41/2018/02/web1_gb10.jpgPictured are this year’s Preble County Geography Bee champions and runners-up. Wyatt House, a student at National Trail, was named this year’s middle school champion during the annual event held on Tuesday, Feb. 13. Raegan Holland, also from National Trail, was the elementary level champ. Runners-up, in a tie in the middle school category, were Victoria Wright from Preble Shawnee and Lynnlee Voge from Twin Valley South. Fourth-fifth grade runners-up, also in a tie, were Aaron Metz from Bruce Elementary (Eaton) and Zach Lawson from National Trail.